An essential addition to any local historian's library. The Whitbreads have played a part in Bedfordshire life since the 13th century, starting as peasant farmers, then local and county officials, M.P.s, and major landowners and benefactors- funding roads, bridges and hospitals, and renovating local churches. There is an accompanying article by Sam Whitbread in the Spring 2007 issue of 'Bedfordshire Magazine' (pages 6,9 and 25). The Whitbreads were small farmers in Gravenhurst until they moved to Cardington in 1639. They supported the Parliamentarians in the Civil War and Henry Whitbread was 'muster-master' during the siege of Newport Pagnell, raising money and mustering troops. Samuel Whitbread (born in 1720) laid the foundation of the family's fortune. He was apprenticed to a London brewer and then set up in business in his own right at the age of 22, establishing the renowned Chiswell Street brewery. In addition to expanding the brewery, he bought land extensively in Cardington, Hertfordshire and Essex, and in 1795 purchased the Southill estate from Viscount Torrington. When he died in 1796 his son inherited an estate of 12,300 acres (80% of which was in Bedfordshire) with annual rents of �,000 (�0,000 at today's values) . He was also a Tory M.P. for 28 years, and instrumental in bringing down Lord North , who resigned as Prime Minister in 1781. His son, also Samuel, was a well-connected, radical Whig politician, part of the 'Devonshire House set'. He was elected to Parliament in 1790, and identified himself with many of the great social issues of the time - slavery, civil rights, the extension of free education, agricultural wages. He was largely responsible for the impeachment of Lord Melville in 1805 for the misuse of public funds. Sam Whitbread the second was also very active locally. He engaged Henry Holland, the fashionable architect, to remodel Southill House in the neo-classical style, built and improved farms and cottages on the estate, and was a leading member of the Bedfordshire Agricultural Society. He was a Colonel of the Volunteer Battalion, and was instrumental in establishing the Oakley Hunt. Sheridan was a close friend and when the Drury Lane Theatre, managed by Sheridan, burnt down in 1809, Sam Whitbread headed the committee to rebuild the theatre. The present Samuel Whitbread continues his family's history until the death of his father in 1985, but then finishes with a 'postscript' comprising the first seventy years of his own life. 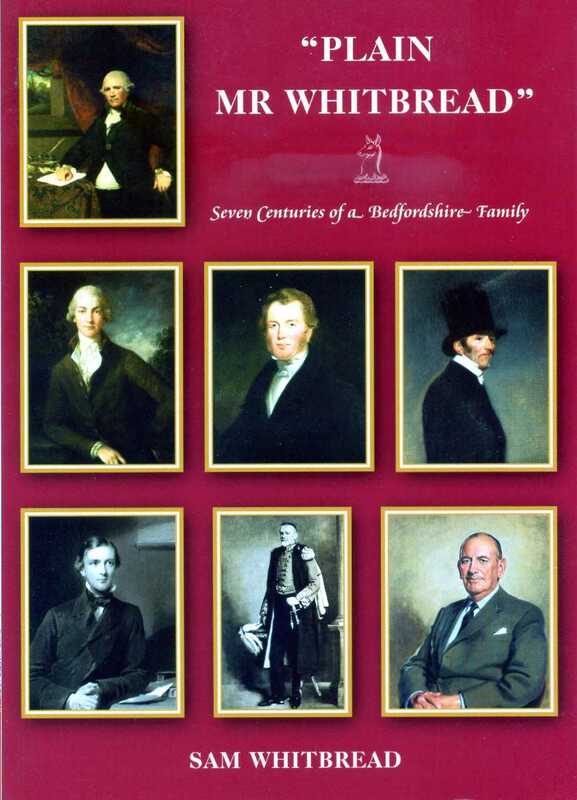 An engaging and informative insight into the personal, social, economic and political history of a major Bedfordshire family.